While a loss-making company with a negative Price-to-Earnings ratio falls out of investor favor, its Price-to-Sales could indicate the hidden strength of its business. This underrated ratio is also used to identify a recovery situation or ensure that a company’s growth is not overvalued. Kulicke and Soffa Industries Inc. (NASDAQ:KLIC) is a producer and seller of capital equipment and expendable tools to assemble semiconductor devices. The company extends its services to semiconductor device manufacturers, outsourced semiconductor assembly and test providers, other electronics manufacturers, and automotive electronics suppliers in the United States and the Asia/Pacific region. This Zacks Rank #1 company has a 3–5 year EPS growth rate of 12%. The stock has a Value Score of B.
Luxembourg-based ArcelorMittal SA (NYSE:MT) is the world’s leading steel and mining company. With a presence in more than 60 countries, it operates a balanced portfolio of cost competitive steel plants across both the developed and developing world. This Zacks Rank #1 company has a 3–5 years EPS growth rate of 13.4% and a Value Score of A. Citizens Financial Group Inc (NYSE:CFG) is a bank holding company for Citizens Bank, N.A. and Citizens Bank of Pennsylvania that provides retail and commercial banking products and services in the United States. This Zacks Rank #2 company’s 3–5 year EPS growth rate is 17.9%. The stock has a Value Score of B.
Hitachi, Ltd. (OTCMKTS:HTHIY) produces sells, and services information and telecommunication systems, power systems, social infrastructure and industrial systems, electronic systems and equipment, construction machinery, functional materials and components, automotive systems, and smart life and eco-friendly systems worldwide. It has a 3–5 year EPS growth rate of 13%. The stock has a Value Score of A and a Zacks Rank #2. Wolfsburg, Germany-based Volkswagen AG (OTCMKTS:VLKAY) manufactures and sells automobiles in Europe, North America, South America, and the Asia Pacific. This Zacks Rank #2 company has a 3–5 years EPS growth rate of 18.7% and a Value Score of A.
SK Telecom Co Ltd (NYSE:SKM) is a provider of wireless telecommunications services in South Korea. The company offers wireless voice transmission services, cellular global roaming services, and interconnection services to connect its networks to fixed-line and other wireless networks. This Zacks Rank #1 company has a Value Score of A.
Herndon, VA-based ePlus Inc. (NASDAQ:PLUS) was founded in 1990 and is a provider of information technology (IT) products and services, flexible leasing and financing solutions, and enterprise supply management in the United States. It has a Zacks Rank #2 and a Value Score of A. 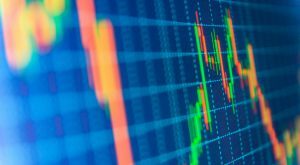 Article printed from InvestorPlace Media, https://investorplace.com/2018/02/bet-7-low-price-sales-stocks-better-rewards-ggsyn/.